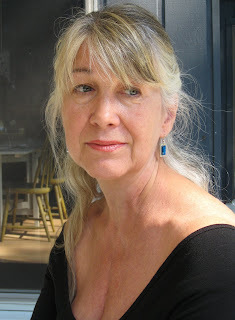 Rosemary Winslow recently agreed to an interview with myself and 32 Poems. And here is what she had to say. 1. Not only are you a contributor to 32 Poems, you are also a professor of literature and writing at The Catholic University of America and have won the Larry Neal Award for Poetry twice. Which of these do you find most rewarding and why? Could you explain how you felt about winning the Larry Neal Award and how that came about? Serena, I want to thank you for the opportunity to think more about what I do as a poet and why. I’ve been fortunate to have many poems published in 32 Poems and other really fine places. And, yes, I’ve won the Larry Neal Award for Poetry three times–third place in 2001, second place in 2002, and first place in 2006. Awards can be a wonderful affirmation of one’s work, and I’ve been pleased that there are folks out there who like poems I’ve written. I wish there were more awards and more recognition for others who write at least as well if not better than I get less recognition. I also love teaching, especially teaching poetry. To work with students in small classes–which I’ve been given the good fortune and opportunity to do–is enormously rewarding. I’ve stayed in touch with many of my former students through the years—I get to experience the amazing transformation of students into friends, each time as interesting and unique as a poem Opening up ways of reading, both understanding meaning and also the other forces at work in fine poems, is a real joy. I feel it enriches students’ lives, and teaching them certainly enriches mine. I can’t say which is most rewarding. They go together. I couldn’t teach what, nor the way, I do if I weren’t writing poems. The first excellent teachers and critics of literature in the U.S. were writers, they started this business and I’m pleased to be able to do in some measure what they did and envisioned for the future. 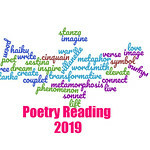 Writing literature gives a teacher the capacity to teach poems from the inside, from the perspective of how they are made, how they are put together. It’s possible to teach poems as poems, as made, and verbal art, in a way not possible without knowing how to make them. Obsessions? I haven’t tried to discover what obsessions I might have. I try to confine my obsessiveness to poetry, to getting every word, line, mark of punctuation perfect, which is a way of saying a poem’s done, finished, it looks and feels right to me. Poetry’s a good place for that, much better than in other areas of life! Eamon Grennan once said a particular long poem of mine was obsessive when he read it in draft. “Obsessiveness is good,” he said. He meant, in poetry, and that’s fine with me to have it if it makes for good art. As long as it enriches instead of dampening my life! 3. What current projects are you working on and would you like to share some details with the readers? Right now I’m working on poems about a week last month when my mother died. I’ve never written about experiences so close in time to their happening before, and I was surprised that I both felt pressured to and could actually write so soon. The experience was so intense, because I stayed with her during her last two days and nights. The sheer physicality stripped away from everything that normally occupies us, and the huge emotional range were so indescribable that I found I was too restless to sit still, or even think straight, afterward. Then one afternoon I decided to sit down and try to write poems about that week, and from that moment the restlessness ceased and hasn’t returned. Before my mother died, I had been working on a series of poems about genocide, and then some poems that I still don’t know what they are about. Something inner, but expressed in a kind of half-surrealistic half-realistic imagery taken from nature. I grew up immersed in nature on the farm, so my mind naturally goes there. I’ve lived in cities for 20 years, but I’ve given up hoping I might write much urban poetry. If you’ve enjoyed Rosemary’s answers so far, I suggest you check out the rest of my interview with her over at 32 Poems Blog. Once there, you can find out about her workspace, her inspirations, and much more. Feel free to leave me comments and discuss Rosemary’s work (sampled above), her interview, or your thoughts on poetry in general. Rosemary Winslow is on the faculty of the Catholic University of America, where she teaches writing and literature, and where she has directed writing programs for 19 years. Based on her work, which has appeared in numerous literary magazines and anthologies, she has received a residency grant at the Vermont Studio Center as well as a writer’s grant and three Larry Neal Awards for Poetry from the DC Commission on the Arts & Humanities. Her latest book is Green Bodies.